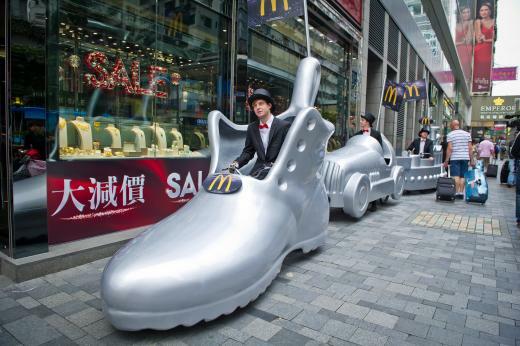 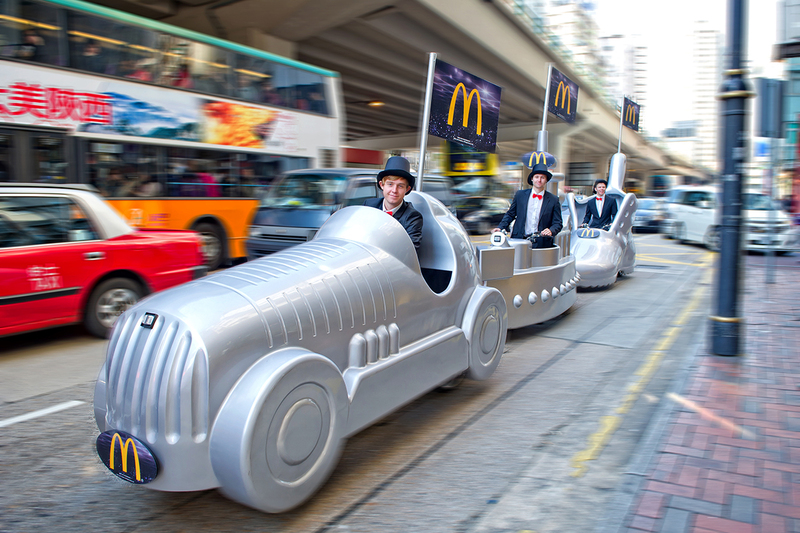 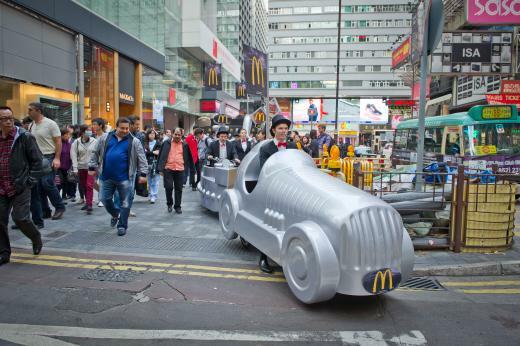 Every year, McDonald’s and Hasbro team up to promote Monopoly. 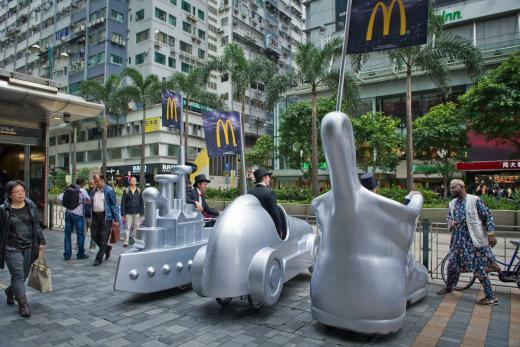 This year we helped them out by building three giant, ride-able Monopoly pieces for Mr. 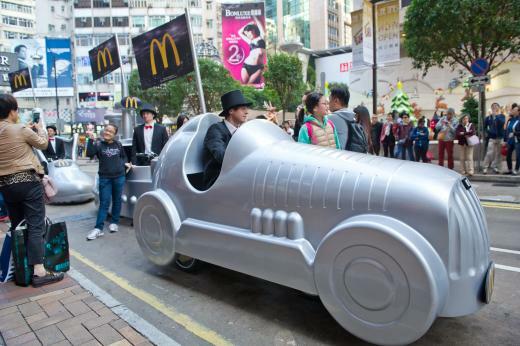 Monopoly and his friends to drive around Hong Kong. 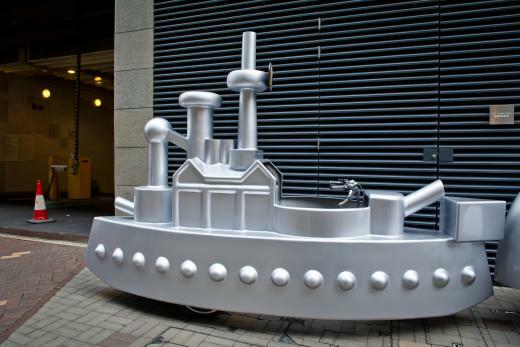 The custom built monopoly trikes featuring the ship, boot and car pieces were created using state-of-the-art, robotic 3D carving machines, to ensure that exact scaled replicas were produced. 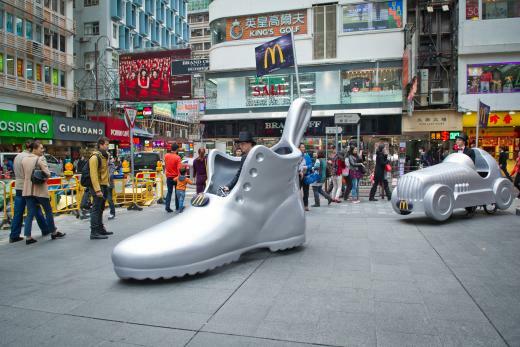 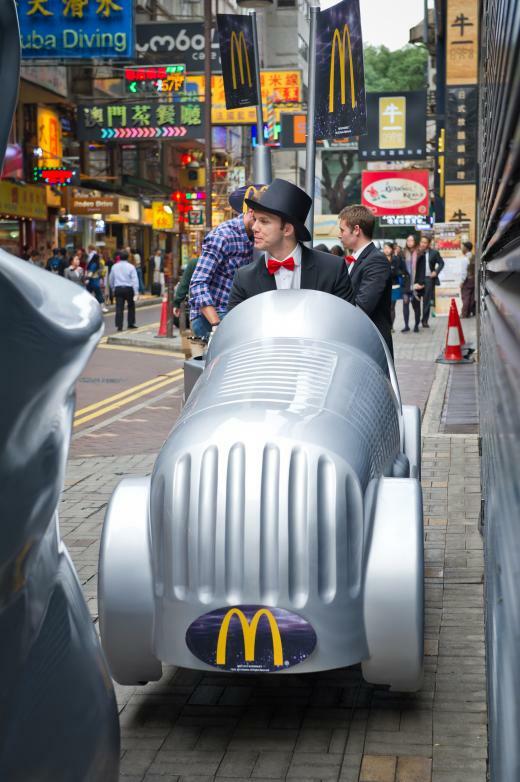 The fibreglass shells were then integrated onto custom built electric tricycles, forming the focal points of this year’s guerrilla street marketing campaign.